Suggesting the Election Commission of India (ECI) to either ensure VVPAT receipts were issued 100 per cent or revert to the old ballot paper system, he said that misusing technology is really easy. 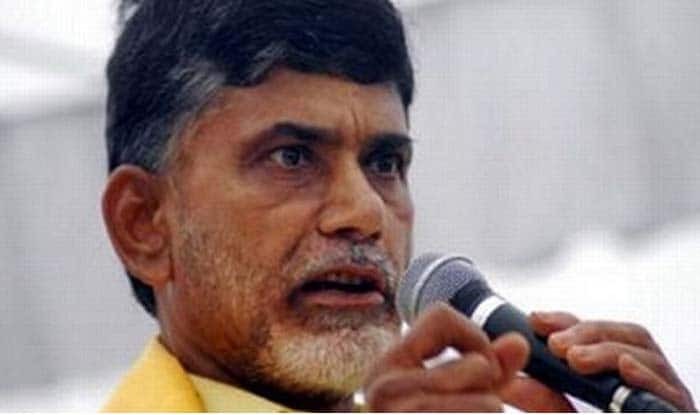 Amaravati: Amid the ongoing controversy over the sensational claim made by a self-proclaimed cyber expert that the 2014 Lok Sabha polls were rigged, Andhra Pradesh Chief Minister N Chandrababu Naidu claimed that there were 100 per cent chances for hacking electronic voting machines (EVMs). The chief minister also asked his party MPs to raise the issue in Parliament and oppose the use of EVMs in the ensuing elections, including Lok Sabha Elections 2019. “It’s easy to misuse technology. It is particularly easy for the one who writes the (software) programme. The Election Commission is only a referee. It should not enforce a system on which there is no trust,” the TDP chief said while addressing a meeting of Telugu Desam Party MPs in the state. Naidu’s statement comes a few days after Chief Election Commissioner Sunil Arora made it clear that the Commission had no plans to return to ballot papers. “I would like to make it very clear that we are not going back to the era of ballot papers,” he had said. “We will continue to use EVMs and VVPATs. We are open to any criticism and feedback from any stakeholder including political parties. At the same time, we are not going to be intimidated, bullied or coerced into giving up these and start era of ballot papers,” Arora added. On Monday, a self-proclaimed cyber expert Syed Shuja, while addressing a press conference in London via Skype, had alleged that EVMs were hacked during the 2014 Lok Sabha polls and claimed Munde was “killed” because he was aware of the EVM hacking. The ‘baseless’ allegation forced the poll body the to file a complaint against him, asking the Delhi Police to lodge an FIR. In its letter to police, the EC alleged that Shuja has violated section 505 (1) of the IPC pertaining to spreading rumours which create panic. Several opposition parties, including the Aam Aadmi Party (AAP) and Bahujan Samaj Party (BSP) questioned the authenticity of the EVMs and demanded inquiry over the claims made by Shuja.